Derek graduated from the University of Illinois with a Bachelor’s Degree in Communications and an emphasis in Economics in 2006. In 2011, he received his Juris Doctorate from Valparaiso University, where he excelled in legal writing and became a member of Law Review. Also while enrolled in law school, Derek gained valuable experience with United States Attorney’s Office. Additionally, Derek clerked with a county prosecutor’s office and a private civil defense firm as a law student. He has since become a licensed lawyer in Illinois and Missouri State Courts as well as the Southern District of Illinois and Eastern District of Missouri Federal Courts. Derek began his career as an attorney working for a civil defense firm in Belleville, Illinois. However, while working there, he began taking on plaintiffs’ cases as well as major felony cases through the St. Clair County Public Defender’s Office. He won his first murder trial, and he has successfully defended other criminal defendants. He prides himself on his persuasive writing skills and work ethic. Derek has zealously advocated for clients in a wide variety of civil cases such as medical malpractice, personal injury, premises liability and Dram Shop liability. Derek enjoys spending time with his wife and family. His main hobby and interest is sports. He was on the University of Illinois’ football team and still greatly enjoys watching professional and college football. He is a fan of all University of Illinois sports and the St. Louis Cardinals. Derek enjoys playing tennis, golf and basketball whenever possible. 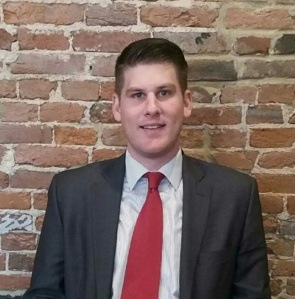 Derek is an active member of St. Clair County, Madison County and Illinois State Bar Associations.